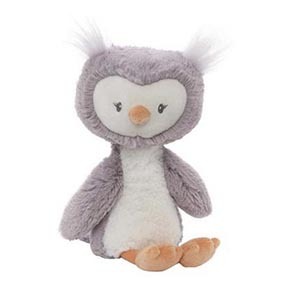 Children of all ages love huggable, stuffed toys. 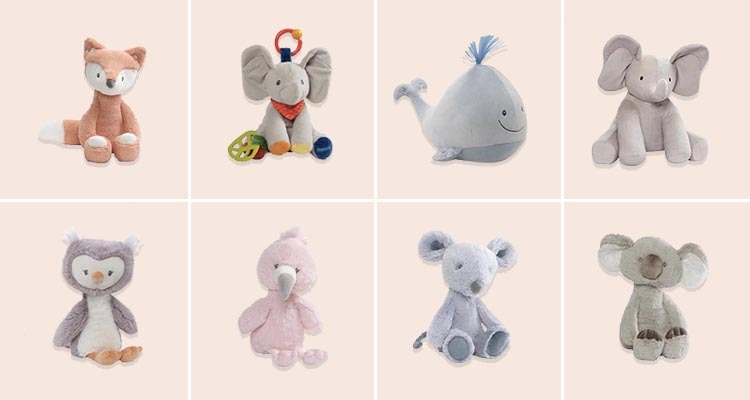 Whether it’s throwing a teddy bear’s picnic, snuggling up with a favourite toy, or pulling around a Flappy the Elephant by its ears, there’s always some comfort to be found in soft toys. Now you can choose between the classic softies for imaginary play and more modern, interactive options that can help soothe your child to sleep. 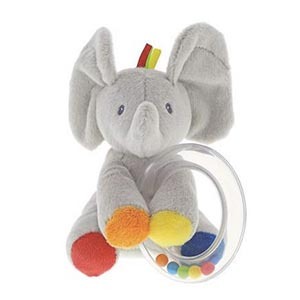 America’s oldest soft toy company GUND has been making soft baby and kids’ toys for over 120 years, so we take a look at what its babyGUND® collection has to offer. 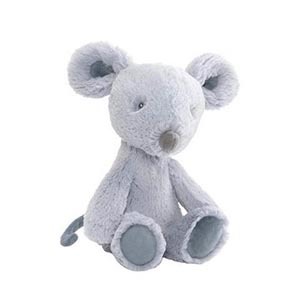 Ideal for on-the-go, a small soft toy will become your child’s best friend. It’ll be easy to fall in love with any of these adorable animals. 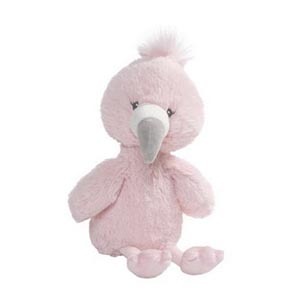 The flamingo, mouse and owl are amongst our favourites. 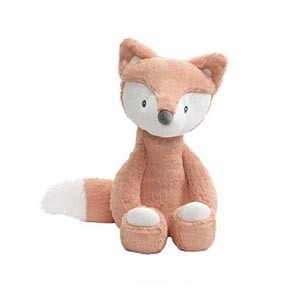 If your child connects with a particular character from a book, bring that animal to life through a soft toy gift. 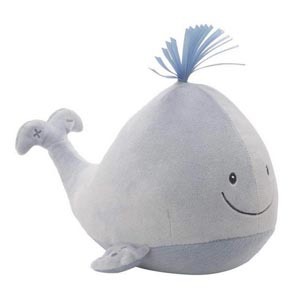 A new addition to the babyGUND® family is the Sleepy Seas Sound & Light Whale. 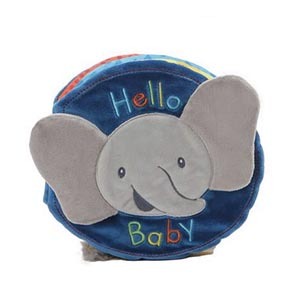 Suitable from the birth, the plush whale emits sounds that will soothe your baby to sleep. Press its left fin and the whale will start to play one of five sea-related sounds, including soothing ocean whale sounds and ocean white noise. Its soft, white lights also help to calm and relax your little one. The sounds and lights then automatically shut off after twenty minutes. These larger than life options are the ultimate addition to any children’s nursery. 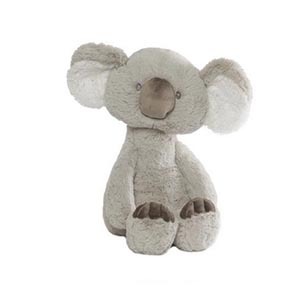 GUND offer animal soft toys in a range of sizes with jumbo Flappy the Elephant being the biggest at 61cm. They’re also fantastic guests at any fantasy tea parties. 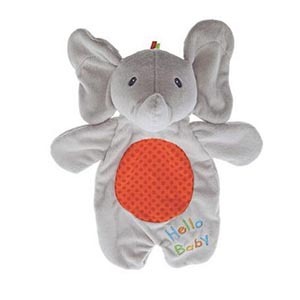 Flappy the Elephant is a favourite for children around the world. 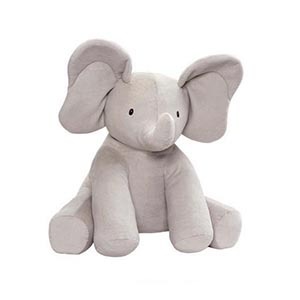 The super soft and super huggable elephant has been so popular that babyGUND® have added a few other elephant toys to its collection. 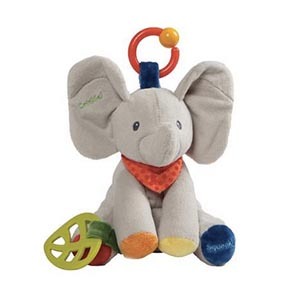 The activity soft toy is great for clipping onto your pram and keeping baby entertained, while the Flappy the Elephant puppet is perfect for playing Peek-A-Boo.